However, every once in a while when I am doing my shopping by “the list”, I throw it all out the window because of the gorgeous produce and/or protein I encounter. Yesterday was such a day. When I saw this bok choy, I new it had to come home with me. I have never actually cooked with bok choy, but I figured it would go well with halibut, my favorite fish. When I found this recipe, I couldn’t have been more pleased because I was short on time. It was approaching seven and I had hungry eyes staring at me when I walked in the door. There may have been a mutiny. Thankfully, this recipe takes no time at all, and cleanup is virtually nonexistent. Perfect for a Monday night. 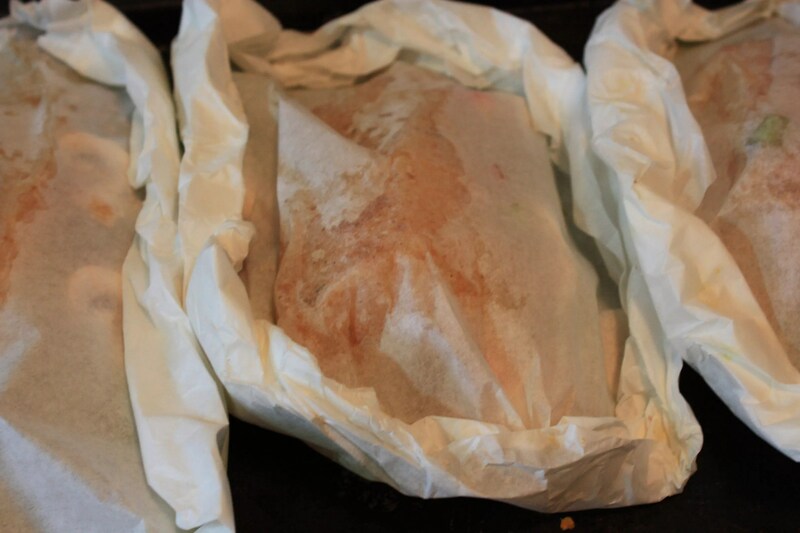 What’s great about cooking in parchment, or “en papillote”, as it is called? A) It’s healthy. You don’t have to cook with many or any oils or butter, if you don’t want to. 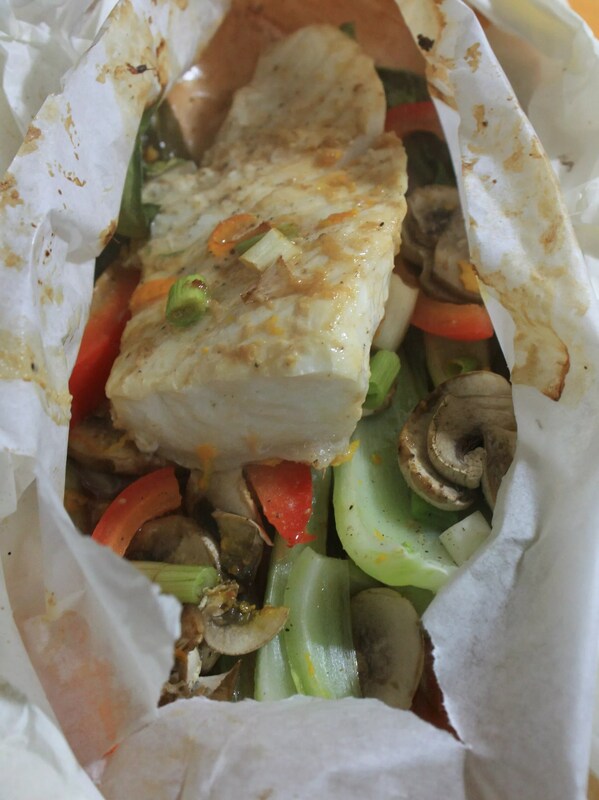 The fish or other protein and vegetables steam in the packet. B) Minimal cleanup. I hate doing the dishes. I bet you do, too. C) It’s versatile. 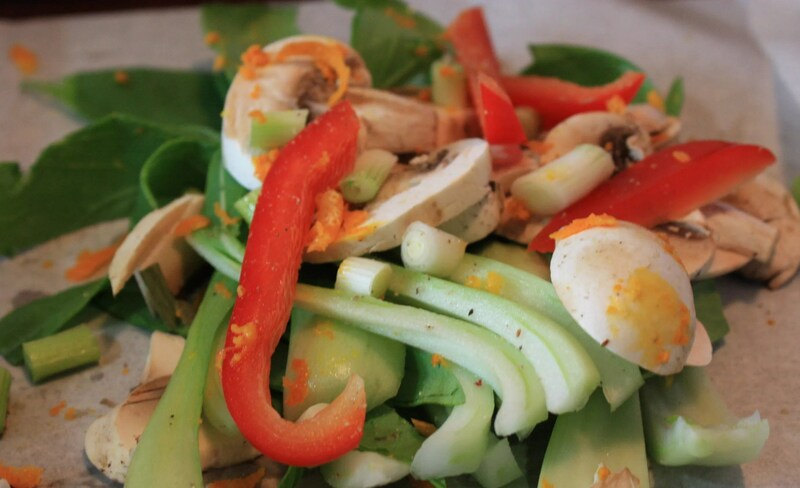 You could substitute virtually any fish in this recipe, or any vegetable. There are hundreds of way to cook en papillote. Just be creative, and use what you have and what’s fresh. Tear off four 15-inch squares of parchment paper or aluminum foil and arrange on 2 baking sheets. Divide the bok choy and bell pepper evenly among the squares. 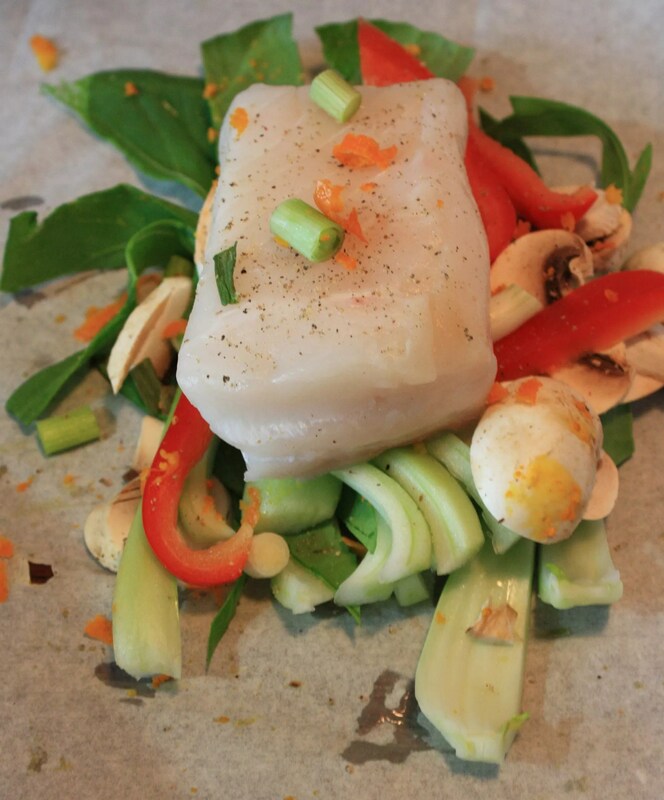 Place a halibut fillet on each mound of vegetables and sprinkle with the black pepper. Top with the scallions and zest. In a small bowl, combine the soy sauce, vinegar, oil, and ginger. Spoon the mixture evenly over the halibut. Top with 4 more squares of parchment or foil and fold the edges over several times to seal. Bake for 15 minutes. Transfer each packet to a plate. Serve with a knife to slit the package open, and be careful of the steam that will escape. I did not read the instructions for how to fold the edges over of the parchment. Instead, I crimped them. Do not do this. It did not stay closed very well and didn’t look as pretty. That’s what I get for being in a hurry. I added mushrooms because, hey, why not? They were a nice addition. Make sure you have your butcher/fish monger cut you a piece of halibut that is even in thickness. I had issues with mine being cooked in some places, and not in others because of the variation in thickness. ohh, looks lovely! 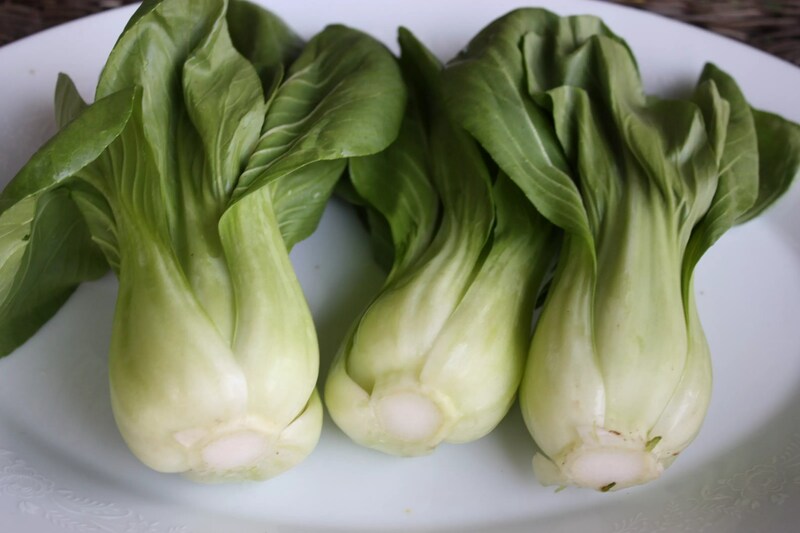 got some bok choy in the fridge i need to use.. hmmmm.